This organisation is not a supporters club but a collection of supporters clubs who meet once a month at Turf Moor. It was encouraged by Dave Edmundson and Edoardo Abis (then chief exec and media manager at the football club) during the 2003/04 and they helped to set up the group to assist the various supporters clubs, mostly local ones, in working together. Regular attendees at the meetings are Accrington Clarets, Burnley Football Supporters Club, Central Lancs Clarets, Colne Clarets, Disabled Supporters Group, London Clarets, North Manchester Clarets, Rossendale Clarets and West Yorkshire Clarets. The group, since 2005, have organised the annual Supporters Clubs Player of the Year Evening, and are currently involved in a number of projects with the club including the improvement of the disabled facilities and post-match pedestrian issues. The group has also run the project that has seen images of former players placed on the external walls of the stands at Turf Moor. They are represented with other supporters at the regularly held Supporter Liaison Group meetings with the club’s senior executives. 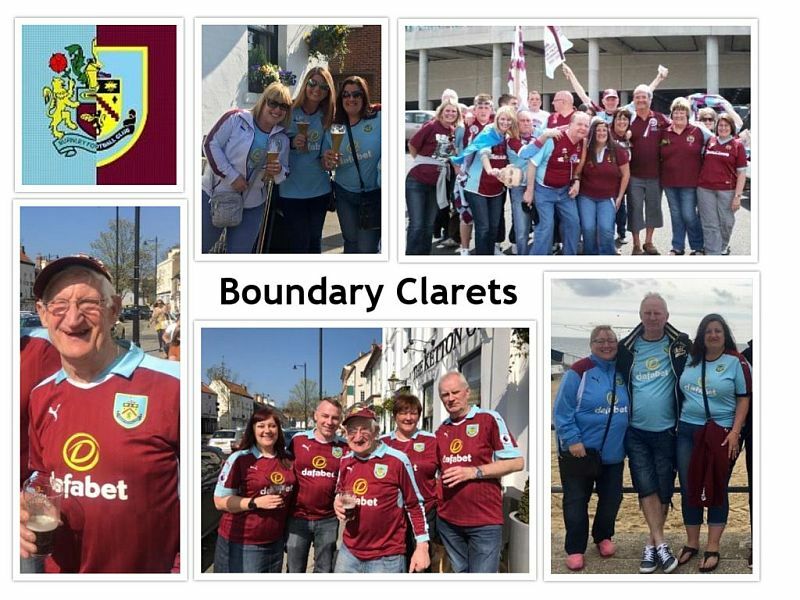 Boundary Clarets run coaches from the Burnley area to away games, starting from Bancroft Road and picking up at Lanehead, Turf Moor, Tim Bobbin and Padiham. The group was set up in the 1990s. They have run coaches to most away games since and usually enjoy a refreshment stop on the way to games. Membership is £8 per season and this entitles members to a £2 reduction in fares for all away trips with a further £1 reduction for seniors and under-16s. 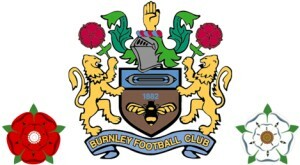 Burnley Football Supporters’ Club was founded in 1981 by the then chairman of Burnley FC John Jackson. Our aim is to run coaches to all Burnley FC games which we successfully achieve. As well as travelling to league games, we also organise trips to pre-season friendlies and cup games. Each season we aim to have at least two long weekends away, staying at a good hotel, visiting places of interest and taking in a Burnley game. We also have social events such as going to the races, so why not follow us in Facebook, or even better, come along. You don’t have to be a member to travel on our coaches although it is well worth joining. Membership is £7.50 per year which entitles you to discounted travel, inclusion in our monthly draw for a prize of £20 and a BFSC badge for the season. 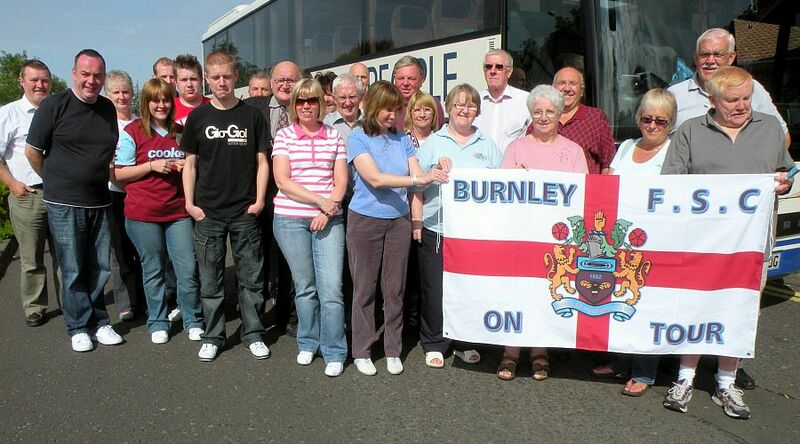 Burnley Football Supporters’ Club offers safe, friendly travel for passionate BFC fans of all ages and is also suitable for families and young children accompanied by an adult. To book away travel or weekend trips, please contact Barrie Oliver on 07990 874695. Central Lancs Clarets covers the M6 corridor from Warrington up to the border with Scotland. They run coaches to many away games each season and pick up at Lancaster, Bamber Bridge, Wigan and Knutsford depending on the destination. The coaches will usually stop at a pub on the way with food arranged on most occasions. The Central Lancs committee meet monthly and members are welcome to attend. Membership is £7 for adults and £4 for over-65s, under-18s & students. The Disabled Supporters Group was set up in early 2016 and now meets regularly on the second Tuesday of the month at the Barden Lane Sports Hub and welcome wheelchair/disabled supporters and their carers. The group has already built up good relations with a national disabled group of football supporters which has nearly 1,000 members, and is making progress on building a good relationship with the football club with advice and support from the other supporters clubs within Burnley FC Supporters Groups. The major project is to provide transport for wheelchair users and their carers to travel to games and would appreciate any ideas and help in providing that. Contact Disabled Group via Peter Biddulph on 01282 871006 or Kim Ruth on 07519 104598. The London Clarets (or Burnley FC London Supporters’ Club to use the full name) is the oldest independent Burnley Supporters Club in existence (formed in 1976), with membership not just restricted to those living in London. The group organises cheap travel to most games outside the South East, provides a ticket service to members for away games and issues a renowned bi-monthly magazine. It has an excellent calendar of social events including cinema and theatre trips, and also runs teams in darts and quiz leagues. There are currently around 220 members, and membership costs £17 for a season (reductions for under-21s, students and senior citizens), which includes six issues of our magazine. The North Manchester Clarets has members from all parts of Greater Manchester and beyond. The group meet on the last Monday evening of every month at 7:30 p.m. in the Paper Mill, Park 66, Pilsworth, Bury, BL9 8RN (Junction 3, M66, rear of McDonalds). Meeting dates can change due to public holidays or matches. The group does not organise away travel. Contact secretary Andrew Taylor for further details. Rossendale Clarets were formed in 1994 to run coaches to away games for supporters in Rossendale and Rochdale. Coaches stop for a buffet lunch at working men’s clubs rather than pubs. If you wish to travel with them to games, it is appreciated if you can make bookings approximately two weeks before the game to help arranging the number of coaches required. Contact Bev Todd on 01706 224924 or 07976 519701 for further details. West Yorkshire Clarets was set up in 2005 to, initially, assist with supporters in the area to get to games. It was originally intended to be Leeds Clarets but at the inaugural meeting was decided to cover the entire West Yorkshire area. They hold regular monthly meetings at various hostelries in the county, moving from one location to another which enables many more members to attend when a meeting is close to them. All of the meetings are advertised on the Up the Clarets web site. There is also a West Yorkshire Clarets 5-a-side team that has played in a Monday night league in Leeds for a number of years. 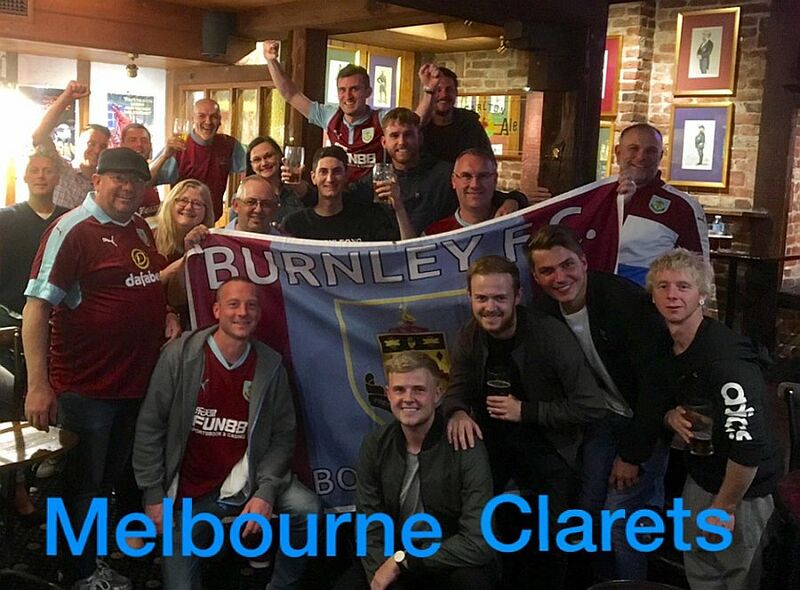 This group was set up for Burnley supporters in Melbourne and County Victoria and they try to meet up when the planets align and the kick off times are Melbourne friendly at their pub of choice which is the Sherlock Holmes Pub, 415 Collins Street, Melbourne. The group also organise an end of season celebration party at the end of each season. If you are visiting Melbourne, members will be happy to meet up with your for a beer or a coffee and will keep you informed of any other sporting events happening in the area that might interest you, be it Aussie Rules, cricket, football, rugby league or union. They will provide you with info on the stadiums but also some general information plus, of course, pubs that are worth visiting. Sydney Clarets was set up in 2009 for all the Sydney and regional New South Wales based Burnley supporters to meet up, grab a beer and watch football.